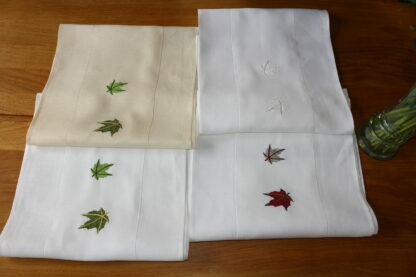 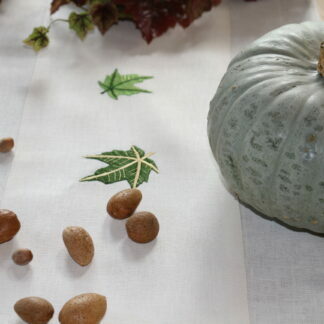 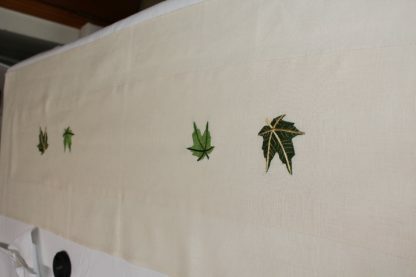 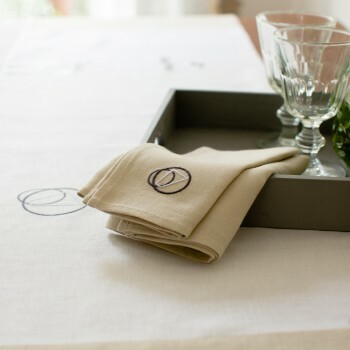 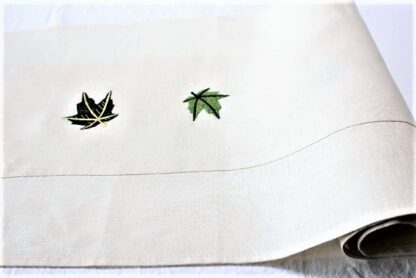 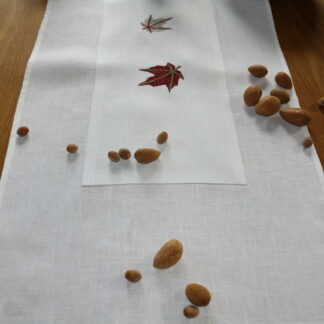 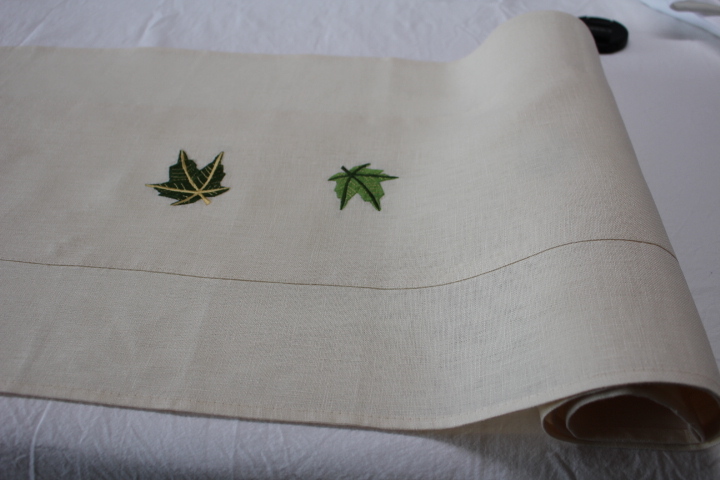 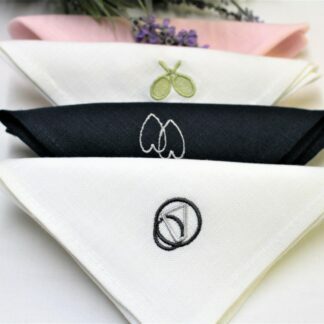 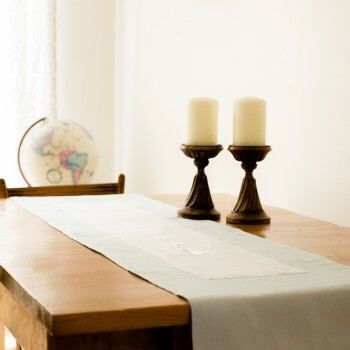 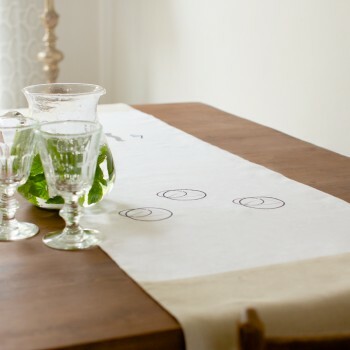 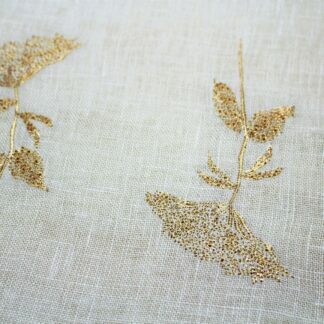 This table runner is made in ecru Irish linen with ecru insert and embroidered with mixed green maple leaves and appliquéd on to the ecru runner. 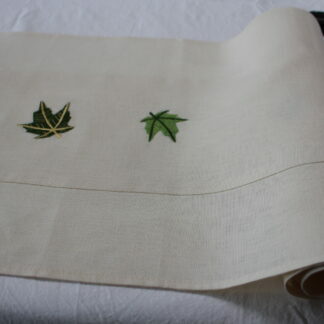 Maple trees are beautiful and are valued for their delicate and colourful foliage but the green leaves are so fresh I just couldn’t resist. 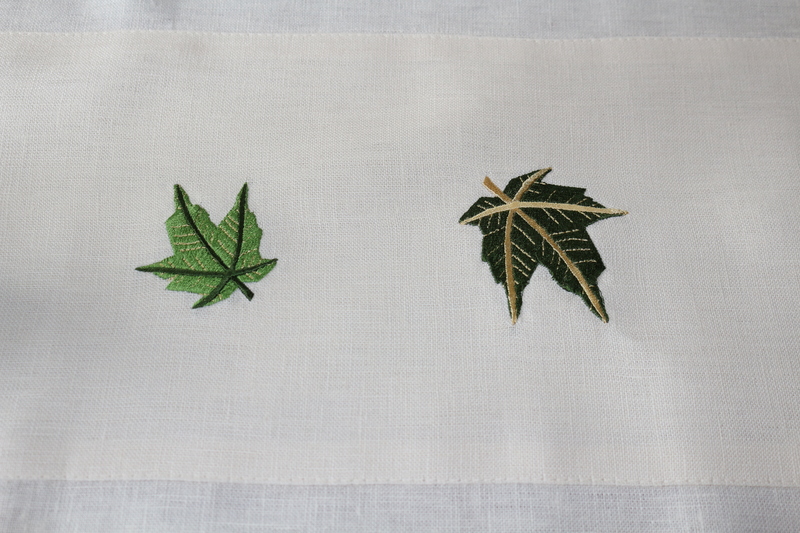 The rich, warm ecru colour of the runner will complement any room and the green leaves make a beautiful contrast. 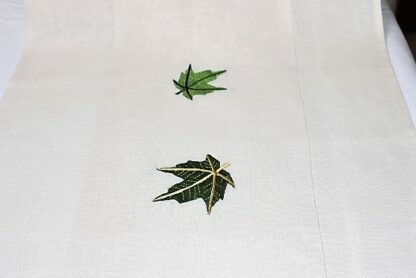 Made and embroidered in Wexford. 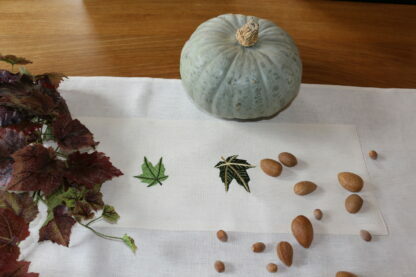 Ireland’s Ancient East.